Scout. Nelson Doughty is the protagonist of Nickolas Butler’s finely written novel titled, The Hearts of Men. Butler presents Nelson’s life and relationships in the context of being the quintessential boy scout: he is trustworthy, loyal, helpful, friendly, courteous, kind, obedient, cheerful, thrifty, brave, clean and reverent. What that means as a teenager varies greatly from what it means when he is in Vietnam, from what it means when he serves for decades as Scoutmaster at a summer boy scout camp in Northern Wisconsin. Butler draws readers into Nelson’s life through his lifelong friendship with Jonathan and especially through Jonathan’s son, daughter-in-law and grandson. 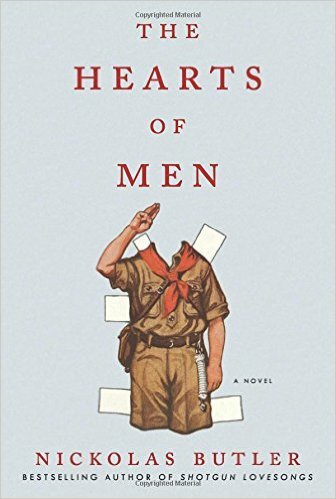 This is by no means a novel about scouting. It offers the deepest insight into human behavior, the rudder of conscience about good and evil, and the meaning of bravery. Butler writes fine prose backed by insight into our human condition. Nelson is one of those characters who help us understand what it is like to lead a good life. Rating: Five-star (I like it) Click here to purchase The Hearts of Men from amazon.com. Andrea. 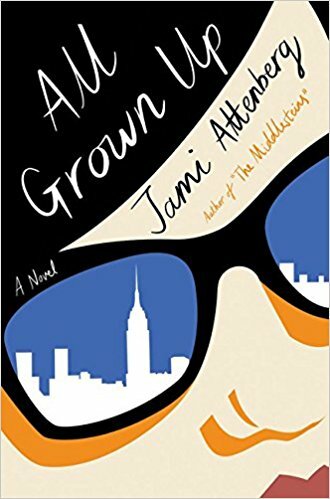 Every stone seems turned in the life of Andrea Bern as presented by Jami Attenberg in a finely written novel titled, All Grown Up. This novel is an intense character study that moves back and forth in time as we are presented a complete picture of the very interesting protagonist, Andrea Bern. Humor and heartbreak are often within a few sentences of each other. Andrea is single, needy and needed. The novel explores the question of what it means to be an adult, and the path toward that answer brought me great reading pleasure. Rating: Four-star (I like it) Click here to purchase All Grown Up from amazon.com. Momentum. I am often humbled by the extent to which I think I am well-informed and then get walloped by the impact of something that happened under my nose and the degree to which I was oblivious or dismissive. 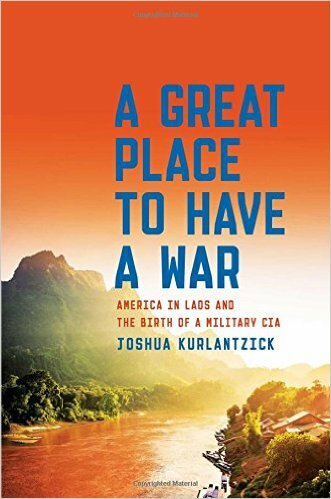 A friend suggested I read Joshua Kurlantzick’s book titled, A Great Place to Have a War: America in Laos and the Birth of a Military CIA. I consider myself well-informed about the Vietnam War, and the operations in Cambodia, and thought I was somewhat aware of operations in Laos. Thanks to Kurlantzick, I now understand how significant Operation Momentum in Laos was and how the CIA’s wider military operations began in that country and became a key component of American foreign policy from then on. Kurlantzick writes about all the secrecy of extensive and expensive American activities in Laos under the administrations of Presidents Eisenhower, Kennedy, Johnson and Nixon. He tells the story of the key players: Vang Pao, the Hmong leader, Bill Lair, a CIA operative, Ambassador Bill Sullivan and a contractor named Tony Poe. Readers interested in public policy, especially foreign policy are those most likely to appreciate this finely written book. Rating: Four-star (I like it) Click here to purchase A Great Place to Have a War from amazon.com. Scientists. What has taken me so long to break into the Charles Lenox mystery series by Charles Finch? Perhaps it is knowing that if I like one novel in a series, I’m likely to read each subsequent installment, and that can tend to clog the reading queue. 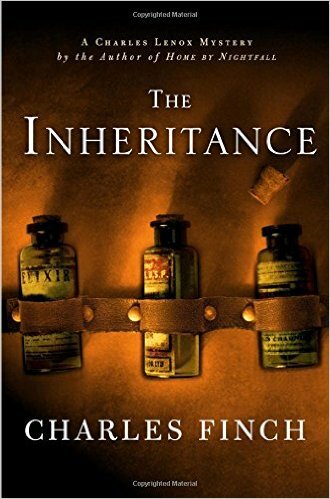 Alas, the queue will be clogged in the future now that I have read the tenth installment in the Lenox series, a novel titled, The Inheritance. Protagonist Charles Lenox is a private detective. In London in 1877, Lenox receives a request for help from a Harrow schoolmate, Gerald Leigh, who has become a renowned scientist. Leigh’s Harrow tuition was paid by an anonymous benefactor, and that unsolved mystery stoked Lenox’ early interest in detective work. Leigh has inherited a significant sum and that brought him to London from his scientific work in France. With great skill, Finch takes readers through twists, turns, red herrings and dead ends, while presenting an interesting cast of characters, including professional and amateur scientists. Lenox and his partners are also wrapped up in another case that leads to dramatic consequences. I was entertained by this novel from beginning to end, and I am likely to become a loyal reader of this series. Readers who enjoy historical and crime fiction are those most likely to appreciate this novel and this series. Rating: Four-star (I like it) Click here to purchase The Inheritance from amazon.com. Learning. 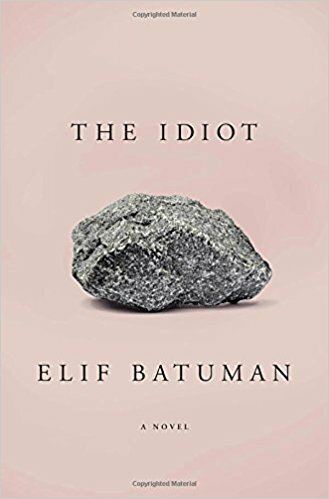 Readers who love language, sharp wit and finely written literary fiction are those most likely to enjoy reading Elif Batuman’s novel titled, The Idiot. Protagonist Selin arrives at Harvard in 1995 ready to learn whatever is there to be learned. Batuman finds ways to draw readers into the experience of uncertainty as Selin’s choices lead to other choices and to interesting consequences and experiences. All learning involves some amount of confusion, and the resolution of that comes with knowledge and insight. We join Selin on her journey at Harvard and during a summer in Europe and become caught up in her confusion, love and anxiety and with her tragic fate: becoming a writer. Worse things could have happened. Rating: Four-star (I like it) Click here to purchase The Idiot from amazon.com. Parallel. 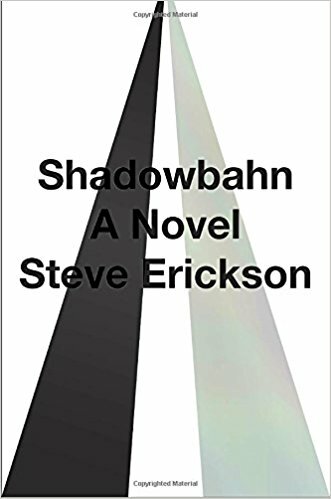 I can’t think of ever being so pleased with reading a novel that confused me as much as Steve Erickson’s Shadowbahn. This imaginative book presents a parallel America, a country very different from the one we know. In this parallel country, Elvis wasn’t born. Instead we have his non-singing brother, Jesse. Without Elvis, gospel music survived, and rock never emerged. In this other world, there is a JFK who was never elected president. The Twin Towers have appeared in the South Dakota Badlands. People flock to the site, and some see and hear things that others can’t. A brother and sister are on a road trip listening to a music playlist that was made by their father. This intense novel provides paragraphs in disconnected spurts and that was the key to my confusion. I was always losing my bearings. Adventurous readers with a high tolerance for confusion will find great writing, a dreamlike experience of imagining life in a divided nation absent many familiar cultural markers, and a work of art that riffs on the theme of parallels and twins and all that might have been and that might be. I was exhausted as I rushed through reading this novel. I was confused. I was delighted. Rating: Five-star (I love it) Click here to purchase Shadowbahn from amazon.com. Relatable. Life is messy. Stuff happens. Memoirs can cover the gamut from the exciting lives of celebrities to the ordinary lives of nobodies, and the dysfunctional families that bind them together. 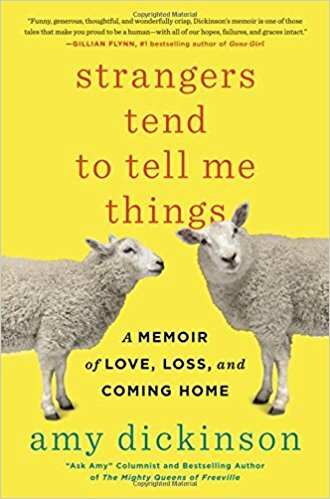 Amy Dickenson’s latest memoir titled, Strangers Tend to Tell Me Things, will be relatable to any reader. That’s not necessarily because her life and ours are a match. I know there is almost nothing she and I have in common when it comes to things like big city versus small town upbringing; intact nuclear families versus single parent environments; or getting married later in life to someone with children. Instead, whether aspects of our lives are similar or different from Amy’s, we recognize her as a real person who has dealt with what life has thrown her in an authentic and genuine way. This memoir tells the story of her return to the place that is home. Each of us finds home somewhere, and this memoir will help every reader think about what home means for us. Rating: Four-star (I like it) Click here to purchase Strangers Tend to Tell Me Things from amazon.com. Jewels. The third novel in the series by Asuma Zehanat Khan featuring Canadian detectives Rachel Getty and Esa Khattak may not be the ideal starting point for new readers. Absent the backstory, the action in the new novel titled, Among the Ruins, may not be understood, especially the connections among characters. We’re not in Canada anymore, as Esa is on leave in Iran. The death of a Canadian-Iranian filmmaker puts Esa back to work while in Iran. 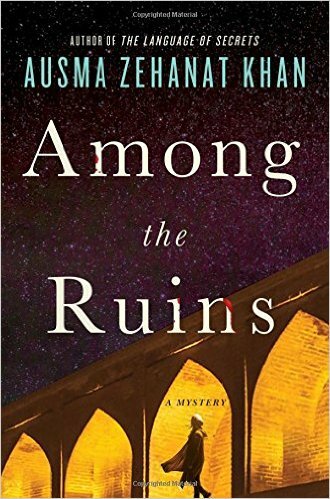 Khan uses this novel to pull readers into Iran’s history, the country’s crown jewels, and mystery and murder, past and present. Fans of the series are those most likely to enjoy reading the latest installment. Rating: Four-star (I like it) Click here to purchase Among the Ruins from amazon.com. Transit. 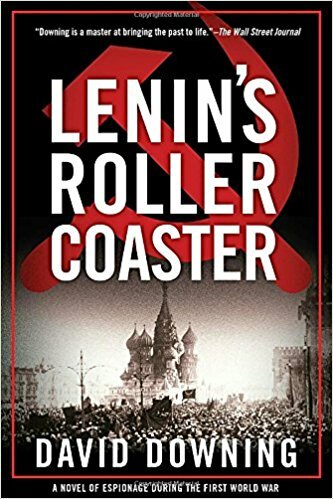 The third Jack McColl novel by David Downing is titled, Lenin’s Roller Coaster. Set in 1917-19, we find British spy Jack McColl and his lover, American journalist Caitlin Handley, in transit throughout the novel, often in separate places. Jack is on a mission to sabotage the Germans in central Asia, while Caitlin is covering the Russian Revolution. Readers who enjoy historical fiction, especially of this time period, are those most likely to enjoy reading this novel. Readers of the earlier novels will appreciate the depth of relationship of these two characters. I was entertained because I find this time period fascinating, and these characters are compelling. Rating: Four-star (I like it) Click here to purchase Lenin’s Roller Coaster from amazon.com. Separation. Almost every human longs for a better world, and wants to live a settled life in a community where we can love and be loved. 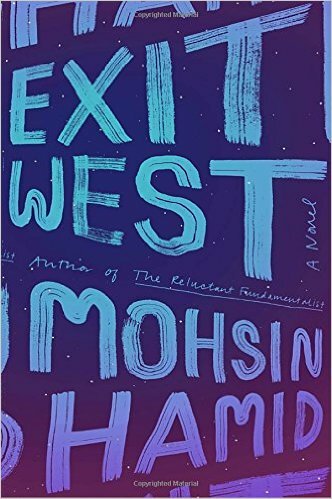 Protagonists Nadia and Saeed are those people, just like us, in Mohsin Hamid’s novel titled, Exit West. They fell in love in a distant city, and when violence reaches their doorstep, they flee, and are separated from their community and loved ones. To ease their passage and to manage the separation, Hamid uses the device of magic doors. Would that these doors exist, given the plight of people like Nadia and Saeed in many parts of the world today. Hamid takes the headlines, and brings them close to everyone’s home in this finely written novel. He captured our situation, in my view, in this excerpt: p. 158 “The news in those days was full of war and migrants and nativists, and it was full of fracturing too, of regions pulling away from nations, and cities pulling away from hinterlands, and it seemed that as everyone was coming together everyone was also moving apart.” All this separation needs to be healed. We need to mend all these fractures. Hamid does some mending with his finely written prose in this novel. Rating: Four-star (I like it) Click here to purchase Exit West from amazon.com. Swordplay. Isaac Bell is one of my favorite protagonists among the many characters in the multiple Clive Cussler franchises. 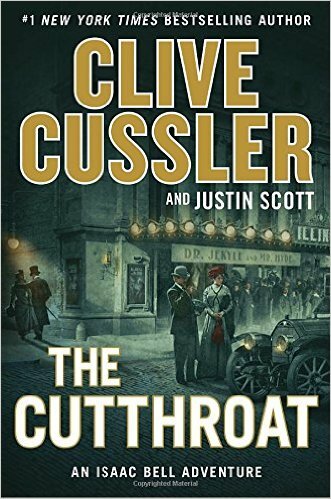 The 10th Bell novel is titled, The Cutthroat, and fans will enjoy the return of a familiar cast of characters, especially the quirky crew of the Van Dorn Detective Agency. A new skill for Bell in this installment involves swordplay, and as fans would expect, Bell is pretty good at this activity. Novels in this series, and anything with Cussler’s name, can be relied on for some distracting entertainment, packed with tension and action, and a reliable resolution in which the good guys win at the end. Rating: Four-star (I like it) Click here to purchase The Cutthroat from amazon.com. Possibilities. 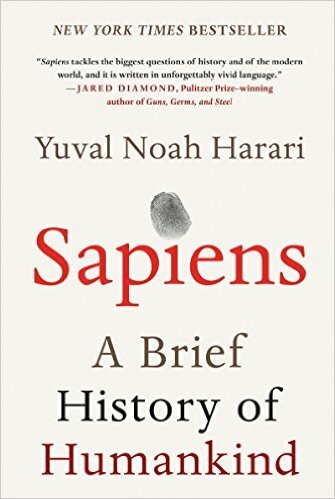 After I read the book jacket of Yuval Harari’s book titled, Homo Deus: A Brief History of Tomorrow, I set it aside and read his earlier book, Sapiens. Before I took a journey with him to explore our possible future, I figured I should have some perspective on how he views our past. With that foundation, which I recommend to any general reader, I started to read the new book and began to think about all the possible future paths that our species might pursue. The pace of change seems to be accelerating, and our capabilities to set a path toward certain different future states seem to be expanding. Any general reader may be shocked by some of Harari’s perspectives, and will likely be encouraged to think more deeply as a result of reading this book. 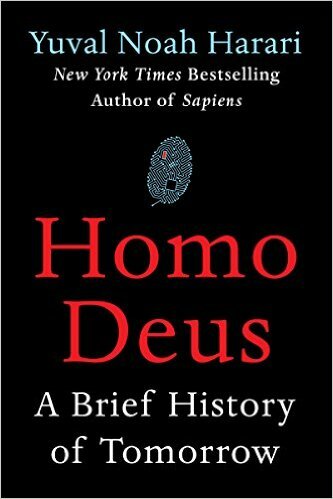 Rating: Four-star (I like it) Click here to purchase Homo Deus from amazon.com. Synthesis. I was only a few dozen pages into reading Yuval Harari’s book titled, Sapiens: A Brief History of Humankind, when my mind drifted back four decades to think about two of my university professors. Harari is a historian and he examines human evolution in this book from the perspective of both history and biology. His synthesis in this book organizes his view of homo sapiens and he presents that view with vivid prose that should engage all general readers. I had a makeup midterm exam in freshman biology with Dr. Unzicker. She asked me to tell her a story, using this as her prompt: “There was oxygen, carbon, nitrogen and hydrogen. Tell me what happened.” What followed was an engaging conversation between us about evolution, the topic of the mid-term. Dr. Spaulding began his two semester survey course, The History of Western Civilization, with remarks along these lines: “Pay close attention because every word I say is pregnant with meaning. During each class we may cover hundreds or even thousands of years of history. I update my notes for this class every day when I read the work of scholars. This course will introduce you to the study of history. It’s up to you to keep current on understanding what we humans learn about our past.” Thanks to reading Harari, I am doing just that, and I expect Dr. Spaulding would be pleased. Rating: Four-star (I like it) Click here to purchase Sapiens from amazon.com. Blues. 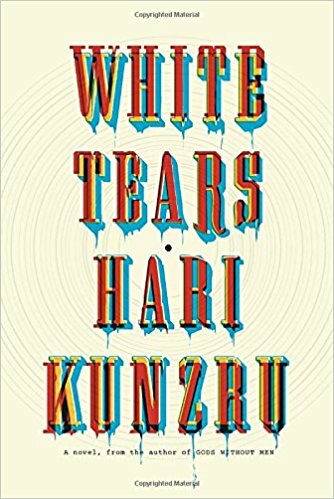 Hari Kunzru wrote almost three hundred pages of a novel titled, White Tears, that puts into prose all the complex art of a classic blues song. Many contrasts under tension are included: rich and poor; black and white; exploiters and the exploited; the past and the present; analog and digital. The plot involves a rare blues song and the legacy of that music across time. The deep emotions of the blues permeate the novel and Kunzru pulls readers back and forth across time and characters until we fall under the spell of his art. Rating: Four-star (I like it) Click here to purchase White Tears from amazon.com. Rumspringa. What is it about our human condition that we steer ourselves toward what or who we don’t have, and pay little attention to achieving contentment with who and what we have? 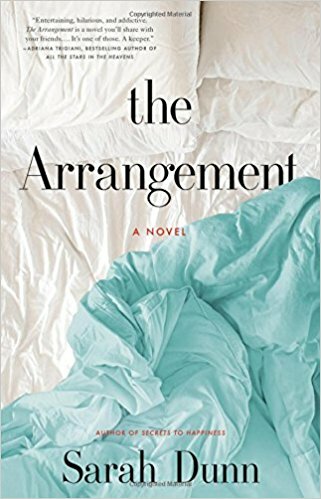 In Sarah Dunn’s novel titled, The Arrangement, protagonists Lucy and Owen are living the good life in the NYC suburb of Beekman. While drunk at a dinner party, they decide to embark on an open marriage experiment for six months under a set of specific rules. Their arrangement is at times hilarious and at other times tragic. While the sowing of wild oats may be appropriate at a certain life stage, as the Amish practice with rumspringa, within a marriage, especially one with children, the consequences of this experiment are likely to be perilous. Dunn presents a great cast of interesting characters, and her brisk writing entertained me, whether I laughed or winced at the foibles of Lucy, Owen and other characters. Rating: Four-star (I like it) Click here to purchase The Arrangement from amazon.com. Motherhood. Our lives can change in an instant. 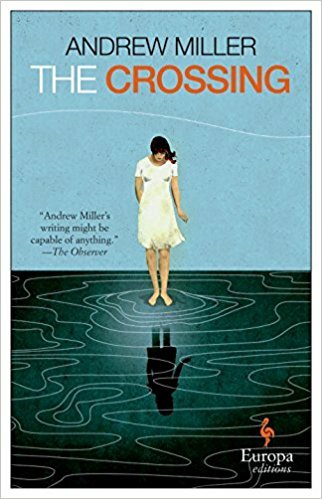 For Maud, the protagonist of Andrew Miller’s novel titled, The Crossing, her life changes in ways that few readers will ever experience. At the same time, her life is our life: a story of survival and doing all we can to do what the next right thing seems to be. Miller’s prose is outstanding, and the complexity of Maud will delight those readers who appreciate literary fiction. There’s a theme of motherhood that ties parts of the novel together, and book club members may find this novel will make an ideal selection for a conversation about the ways in which women as mothers become transformed. Maud’s journey in this novel, especially on her boat, focused my complete attention on her response to suffering. Maud’s strength becomes revealed in dramatic ways in this novel, and Miller’s writing skills kept me entertained from beginning to end. Rating: Five-star (I love it) Click here to purchase The Crossing from amazon.com. Obsession. 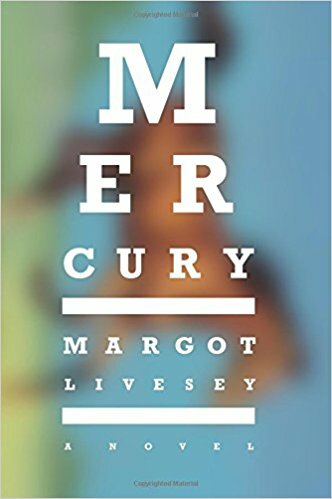 Readers who have ever been obsessed by something or someone are those most likely to enjoy reading Margot Livesey’s novel titled, Mercury. Protagonist Liv has become obsessed by a horse named Mercury, and all the tension in this psychological novel flows from that obsession. For anyone who has been prevented from being with the object or person or animal of desire, the extremes of Liv’s behavior will be easily understood. In addition to the element of obsession, Livesey also delves into the typical detachment that can take place from anything and anyone not related to the obsession. Finally, Livesey adds a bundle of secrets as a necessary component to round out the ways in which living an obsessed life places an individual in compromising situations. Rating: Four-star (I like it) Click here to purchase Mercury from amazon.com. Unsettling. 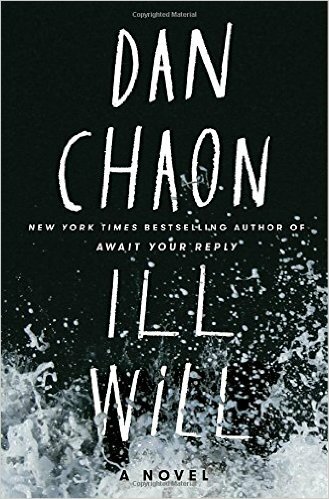 Don’t be alone when you read Dan Chaon’s latest psychological thriller titled, Ill Will, not just because there’s a murder at the core of the story. I’ve found a theme of being unsettled in Chaon’s other writing, and in many ways this novel left me feeling not just unsettled, but somewhat unmoored. A major part of the novel involves the unreliability of memory, and for anyone who questions our own recollection of the past, this novel can lead one’s mind to travel down paths that are missing all guardrails and road signs. Maybe I am not who I think I am. Short chapters from multiple points of view can keep a reader off balance, and Chaon does that well. Along the way, he builds the complexity of each character as he reveals more about each individual character that leads us to revise early impressions. I was entertained by reading this novel, and frankly, was a little relieved to close the last page. Rating: Four-star (I like it) Click here to purchase Ill Will from amazon.com. Control. 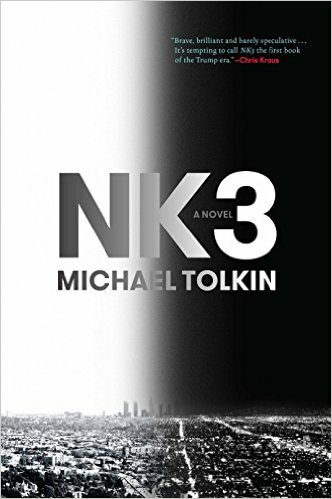 Readers who enjoy dystopian fiction are those most likely to get lots of reading pleasure from Michael Tolkin’s novel titled, NK3. Set in Los Angeles in the near future, the novel explores a closed community dealing with the aftermath of a virus that triggered forgetfulness and severed connections to the past. Skills necessary to maintain a quality of life have been lost. In rebuilding society following this catastrophe, several individuals have taken control and they established fences, rituals and myths to survive and to recreate some semblance of order. The novel explores the behavior of a large cast of characters and the ways in which power is exercised. Here’s a quote from p. 165 that I found interesting: ‘“You can’t do things just the way chief says. You have to do what he means even if he doesn’t know that what he says isn’t what he should mean.’ Royce Hall closed his eyes to concentrate. ‘Say that again.’” If that’s too close to current reality for you, take a pass on this novel. If you’re intrigued, and if you enjoy dystopian novels, you’re likely to enjoy reading this one. Rating: Four-star (I like it) Click here to purchase NK3 from amazon.com. Undertone. 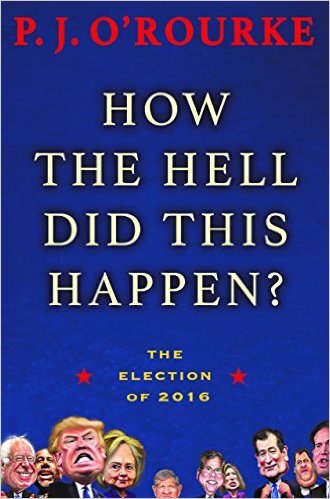 I really, really wanted to laugh while reading P. J. O’Rourke’s book on the 2016 Presidential election titled, How the Hell Did This Happen?. Instead, I found his humor a bit too sour to trigger my funny bone. I think I kept sensing an undertone to his text that inhibited my search for humor: a sense that his sadness and mine melded, and we can’t find the humor. If you’re more ready than I am to enjoy O’Rourke’s punditry and satire, please consider this book as a chance to take pleasure in reading his latest work. Rating: Three-star (It’s ok) Click here to purchase How the Hell Did This Happen from amazon.com. Leaving. If I were a novelist embarking on four novels involving the seasons, I would probably start with Spring. 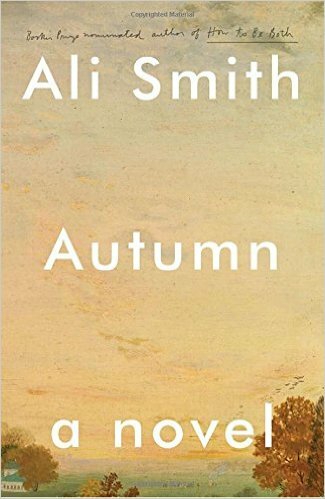 Ali Smith plans to write four seasonal novels, and her first novel in the quartet is titled, Autumn. I wonder how much Brexit had to do with her choice of a starting point. Considering all the leaves and leavings taking place in Smith’s take on Autumn, I think her choice to start with the season of fruitfulness makes great sense. Daniel and Elizabeth are neighbors with a wide difference in age. Smith offers their unlikely love as a way to draw readers into the fragility of life, the shortness of our seasons, and to reflect about the harvest that might be reaped from our lives. I was filled with wonder as I turned these pages, watching how Smith could deal with a range of emotions with such skill. Readers who enjoy finely written literary fiction are those most likely to enjoy reading this novel. Rating: Five-star (I love it) Click here to purchase Autumn from amazon.com. Displaced. 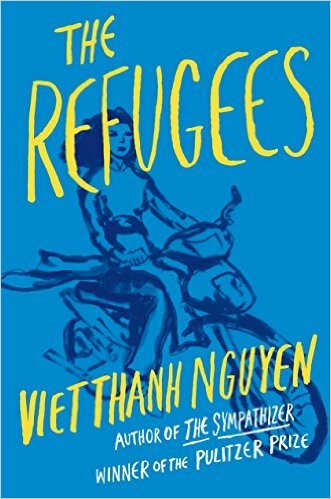 The finely written prose in Viet Thanh Nguyen’s short story collection titled, The Refugees, demands that readers focus close attention on the human beings in these stories, people who are just like us. In a time period during which many people have conflated illegal immigrants with refugees, it can be helpful for anyone to explore the lives of people who were welcomed into the United States from the devastating experiences that disrupted their lives in Vietnam during the war. These stories explore displacement from many different perspectives, especially the struggle of coming to terms with the life left behind and the struggle to adjust to a new place that is not yet home. Rating: Four-star (I like it) Click here to purchase The Refugees from amazon.com. Fun. 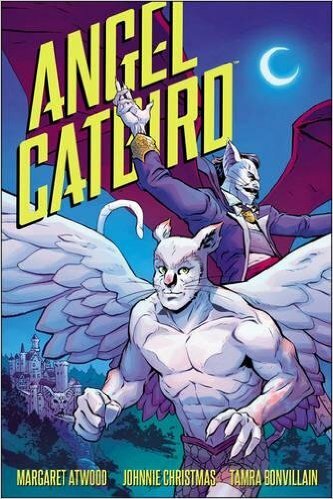 Everything I liked in the first volume of the Angel Catbird series by Margaret Atwood, I liked in the second volume titled, To Castle Catula. Packed with puns, some footnotes, and great images, this graphic novel brings pleasure to both eye and ear. It’s quick to read, and can provide interested readers with an easy entrée into the graphic novel genre. Rating: Four-star (I like it) Click here to purchase To Castle Catula from amazon.com. Dance. The Socratic style of questioning that J.M. 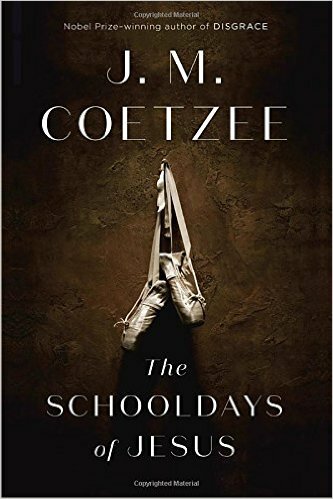 Coetzee began in The Childhood of Jesus continues in a new novel titled, The Schooldays of Jesus. Refugee David is now ready for school in a new town, and Simon and Inez enroll him in the Academy of Dance, purported to be the best school in the town. The curriculum involves, as one would expect, dance. In some mystical way relating to numbers, the dance combines reason and passion. Using the structure of Socratic dialogues, Coetzee presents ways of coming to an understanding of the world. Readers who enjoy finely written literary fiction are those most likely to enjoy reading this novel. Rating: Four-star (I like it) Click here to purchase The Schooldays of Jesus from amazon.com. Developments. For those times when I have only a few minutes to read, I can count on Alexander McCall Smith’s 44 Scotland Street series to give me exactly what I need: a brief escape. 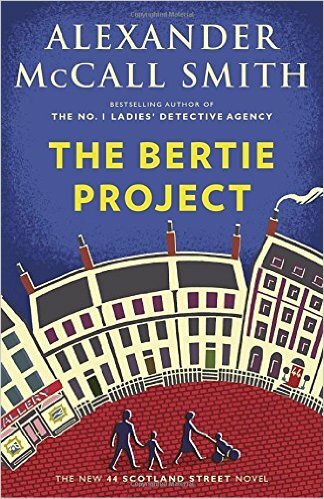 The latest collection of installments in this series that is serialized in The Scotsman is titled, The Bertie Project. Irene is back from the Middle East which means the happy days for Bertie, his brother, Ulysses, and their father, Stuart, have come to an abrupt end. Neighbor Bruce has a new love interest. Matthew and Elspeth face a crisis with the triplets. Big Lou is back along with the usual extended cast of characters, for whom developments proceed at a moderate pace, leaving this reader and others patiently waiting for more installments. Rating: Four-star (I like it) Click here to purchase The Bertie Project from amazon.com.